Mobile Growth sends you weekly tips for mobile success. Whether you’re a marketer, a CEO, freelancer or young professional. These weekly mobile growth snacks are written with you in mind. With these tips, you can easily and completely optimise your online strategy for the modern customer. And even when you’re an old warhorse. These tips will keep you informed of all the latest developments. With these knowledge snacks, you will stay ahead of the competition. O, and did I mention it’s free? 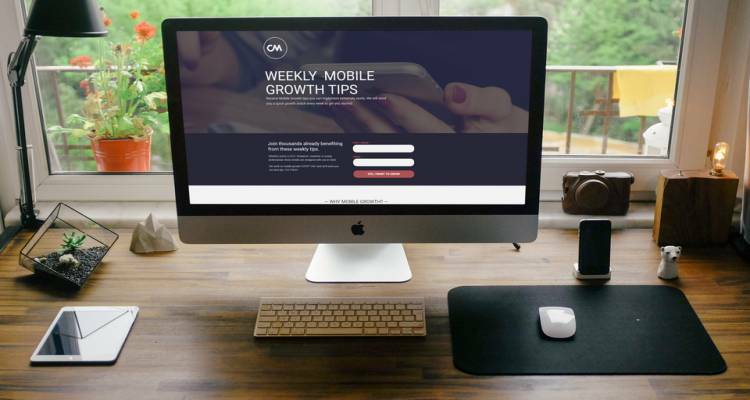 Do you want to receive these weekly tips for mobile growth? All you have to do is fill in your name and email address on the Mobile Growth website. After signing up, you will immediately receive our first email. From that moment on, you’ll receive new useful tips every week. Do you want to learn how to better engage with your target audience? Are you considering using chatbots or do you want to know how mobile payments can improve the customer journey? Or do you want to keep updated on innovations and customer contact? Or do you want to learn how small changes can have a great impact on conversion? Then subscribe for free now and start your mobile growth today! Make sure you don’t miss out and subscribe for the Mobile Growth snacks now. We know your competitors will! Note: You can unsubscribe for the mailing whenever you want. What does 24/7 monitoring of the SMS Gateway API mean at CM? When you use an SMS Gateway, you'll want to rely on it that this gateway delivers all messages in time. Also, data protection plays a key role in whether or not you can trust a provider with your business critical or privacy sensitive messages. When sending SMS notifications over our SMS gateway, you can completely rely on 24/7 monitoring and security to handle this with the upmost care. But what exactly does this mean for you?